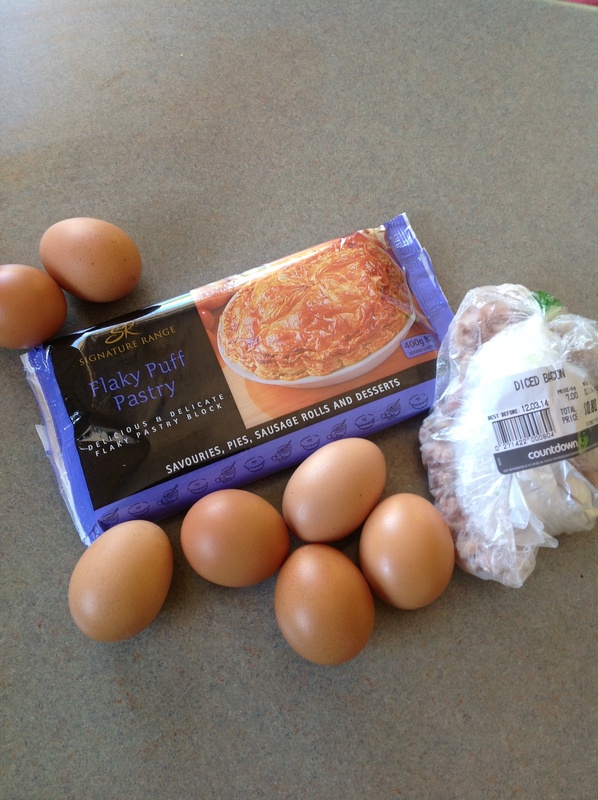 Day #4 – Bacon and Egg Pie | Have kids, they said. It'll be fun, they said. Mr T has been unwell today so we decided to delay the full roast until tomorrow. So, tonight I am cooking my most basic recipe – Bacon and Egg Pie. It’s cheap and it’s easy and it’s popular. Bacon and Egg pie is a staple in kiwi diets, you can buy them at every corner store and bakery. We grew up with them, at picnics and BBQs, trips to the beach and pot luck dinners. What kiwi kid doesn’t love a bacon and egg pie? My kids sure do – it’s the single meal that I know will be wolfed down by the lot of them, even Fussy McFusspot BoyChild. It’s one of those meals that we assume is common around the world, and are surprised to find out that it’s unheard of in many countries! They don’t know what they are missing! You can add any number of veges and herbs to this, depending on your preference. I once added peas and Princess literally begged me never to put them in again – “Please Mum, please don’t add those green things again”. 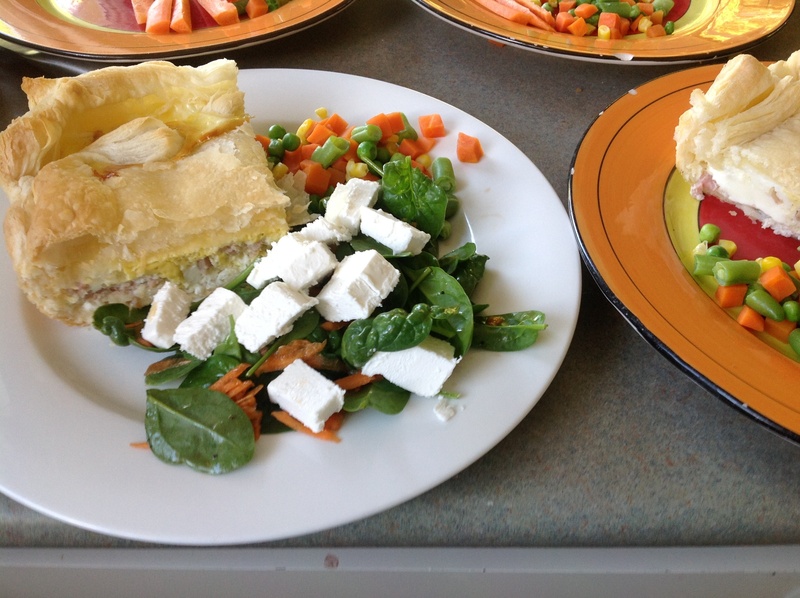 This dish is so popular with my kids, I’m happy for them to eat their veges beside it rather than in it! To make, you simply cut the pastry in two and roll out one half to line the base of the dish. Add the bacon and the eggs directly into the dish. Top with the other half of the pastry (rolled out, obviously). Bake in the oven for around 30 – 40 minutes at about 180C. Voila. I served it with mixed veges, carrot sticks for the kiddles and salad for myself and Mr T.
Well, I feel like I cheated a bit tonight because I have cooked this dish once a week for the past I-don’t-even-know-how-long. And, it is always a success.